So tired. Stayed up way too late to watch an old episode of Combat because, Robert Altman directed. Bonus cameo by a very young Bruce Dern. Don't even like that show, but watched that and 12 O'Clock High because they were Dad's favorites and I'm missing him a lot this week. I remember sitting through them as a kid just to be hanging out with my Pop. On a happier note, this may be the cutest kitten ever. 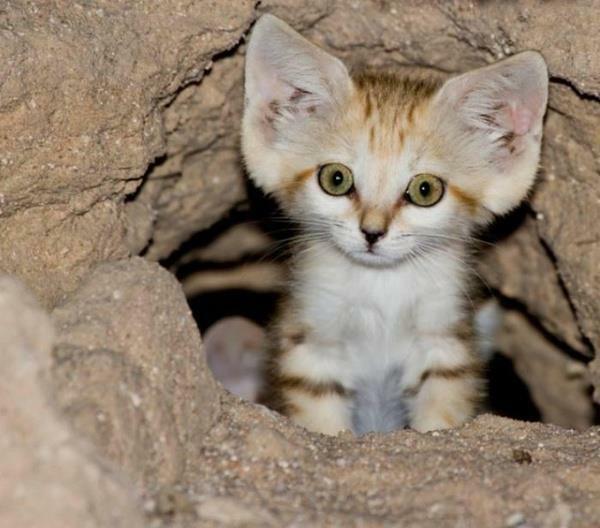 I've never heard of sand cats before. Amazing little critters. They can do all kinds of stuff with those big ears and they can go without water for months at a time.